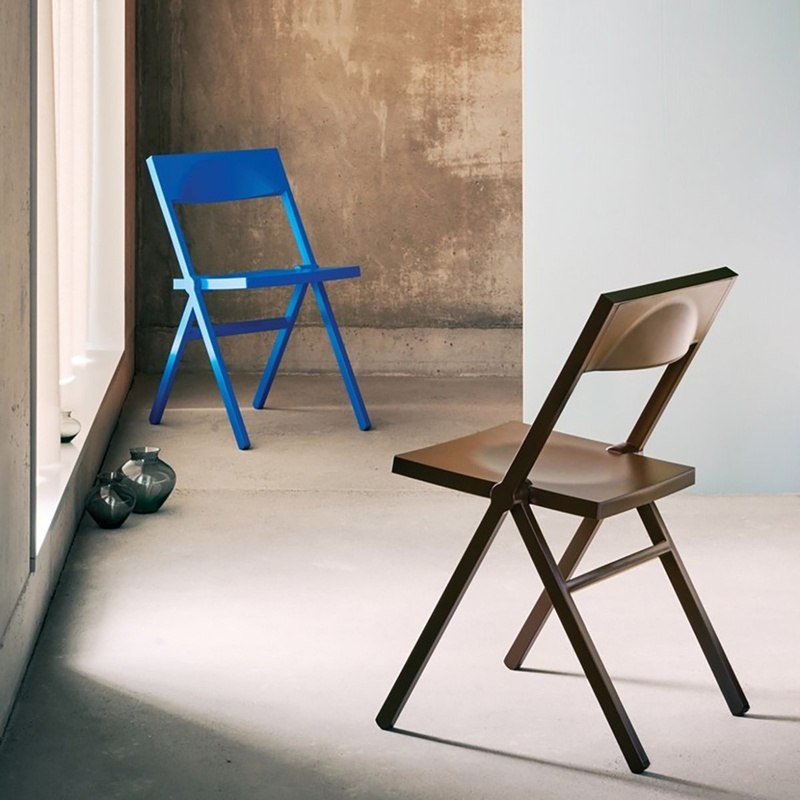 The Piana folding chair is an object of minimalist, refined and comfortable design, indispensable in every home. The Piana folding chair is a design complement and a piece of furniture that brings essential and refined atmosphere. The minimalist design is combined with the comfort of the seat and the chair functionality, suitable for any occasion. 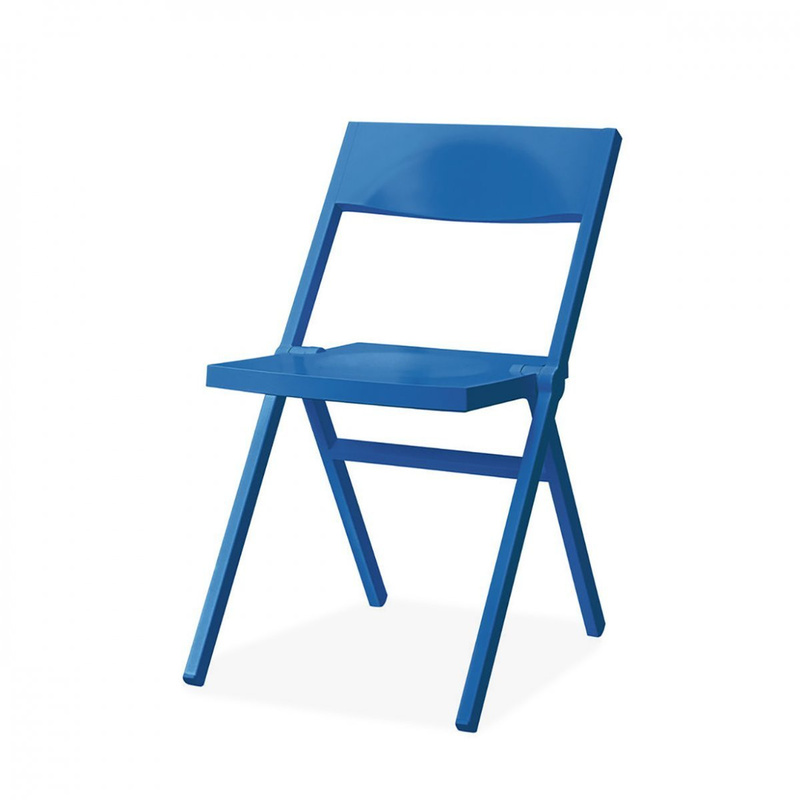 The Piana folding chair is made of polypropylene and glass fiber and is available in the blue and brown colours. 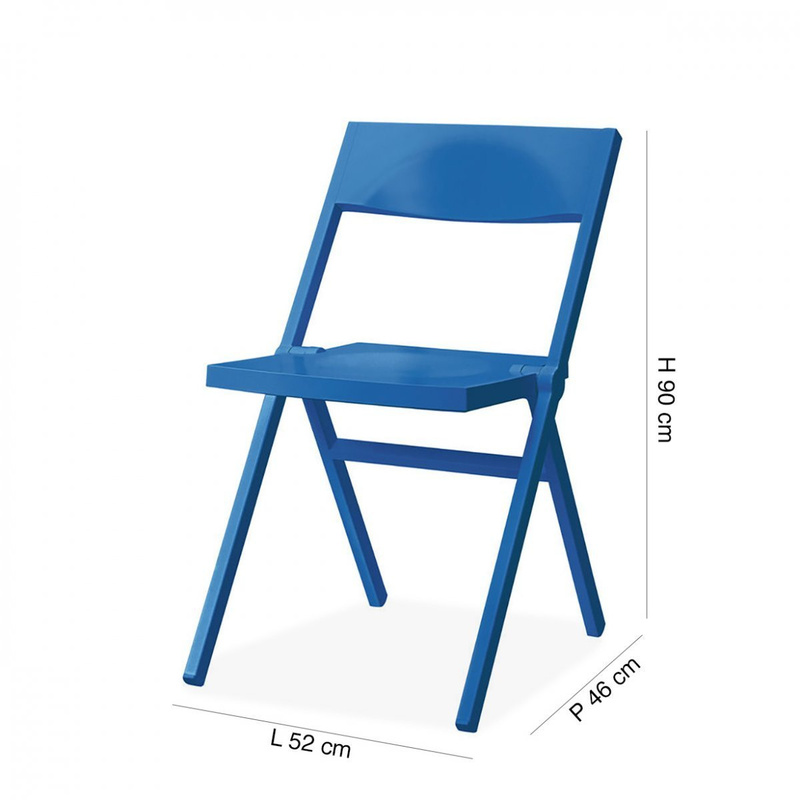 The Piana folding chair is a good solution when guests are in a number higher than the chairs and you need comfortable and practical seats to be used if necessary. This Piana folding chair is also perfect for decorating the kitchen, the living room and the garden. The peculiarity of the Piana folding chair is that it is stackable. The possibility to stack chairs allows you to storage many of them in a practical and fast way, without taking up much space. The Piana folding chair is made by Alessi, the Italian design brand famous worldwide. Alessi distinguishes for the quality of materials, the aesthetics of the objects and their functionality. The Italian company has the ability to be in step with the changing times, satisfying the needs of customers. It places halfway between art manufacturing and industrial mass production, creating unique furnitures. 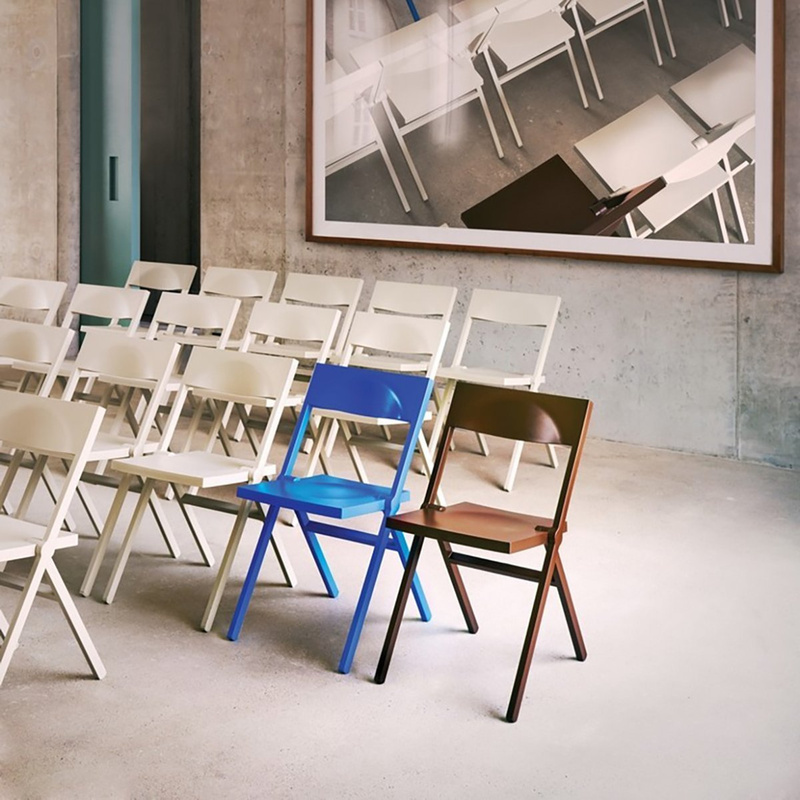 The Piana folding chair was created by the designer David Chipperfield, the English professional famous at world level, whose studies are present in several locations: London, Milan, Tokyo, Berlin and Shanghai. He produces, since 1983, world famous works and received important awards, such as the Heinrich Tessenow Gold Medal in 1999. 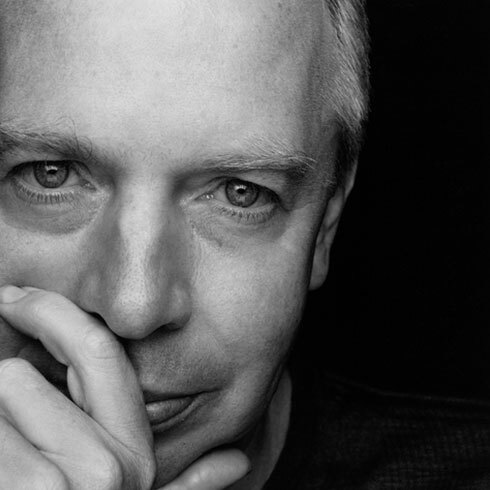 The David Chipperfield's art distinguished itself for its original design, minimalist and elegant shapes and functionality. All these values are recognizable in the Piana folding chair that, with its simple design, is an indispensable and sought after piece of furniture.